Right now, I’m a bit fed up with Amazon which tends to change my prices from free to 0.99$ and back every once in a while. 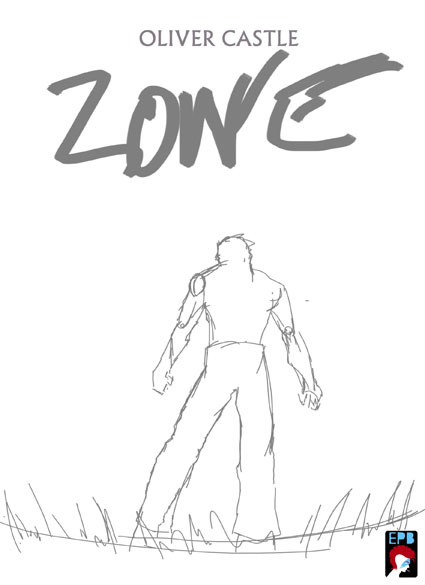 If you liked The Zone, feel free to comment and share your opinion. Take also five minutes to look at Sol Sunburst… Many thanks! 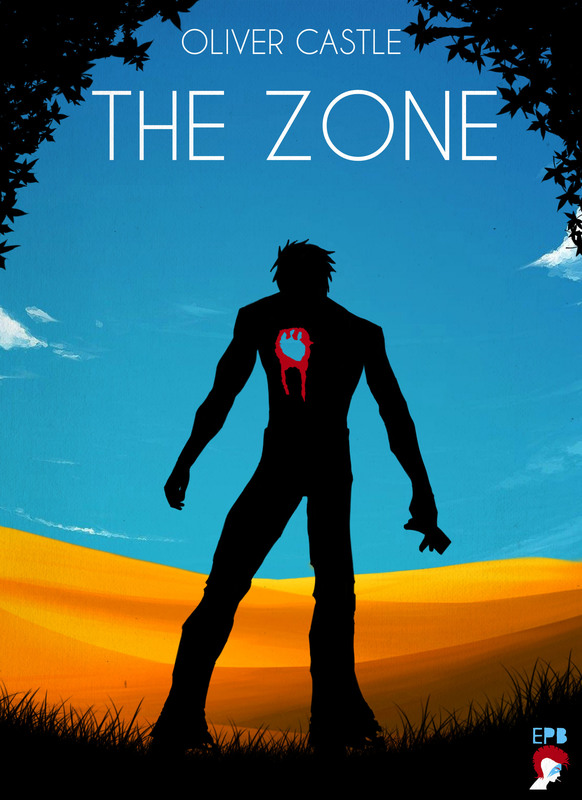 As promised last week, here is the final cover for my next (very) short story to be published: The Zone. The Zone will be available – hopefully – by the end of the summer for free! Follow this blog or the facebook page to get the latest news about it! In the meantime, why not try Sol Sunburst novel and its eco-rock fable? I am terribly late for my next publication, the short story called The Zone. And given the fact it’ll be free, I’m guessing I’ll be even more late due to Amazon and its policy to check free prices like a Vogon clerc. Anyway, here is the first draft of the cover. I planned to ask for a favor to a friend, but in the end, I’m doing the cover all by myself. Hence, more lateness. As I’m not a professional graphic designer, I have to use some tricks of my own to get what I need for the pose. 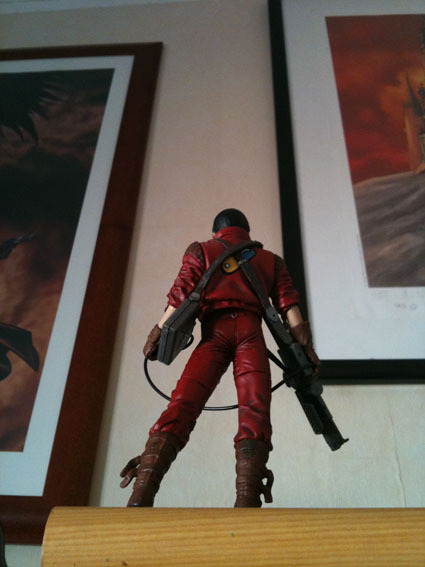 My Kaneda action figure from Akira. I hope the short story to be online by August. Stay tuned for the final cover next week! In the mean time, why not check my latest sci-fi eco-rock novel Sol Sunburst? As you might know, Sol Sunburst will be hitting the major digital platforms next Tuesday. Being an indie author implies that you do most the marketing stuff by yourself, hoping that, somehow, you’ll grab a reader at the corner of a post, on the edge of a wittyful tweet or thanks to beautiful pictures of your ebook cover. One of the most common things to share the love around you upcoming novel is to provide a free sample. Some piece of your text that would give a peak of what to expect. So I choose to diffuse the chapter 2 of my novel. ‘Why 2? Why not 1?’ would you ask. Mainly because this chapter 2 is actually the first one I wrote, the one that introduces the main character Angela, as well as Sol Sunburst and the actual state of the Earth in 2169. In other words, the best entry point for anyone who doesn’t know about Sol Sunburst but wishes to discover it. Let me remind that this chapter is very loosely inspired by the song ‘Five Years’ by David Bowie. So don’t forget, Sol Sunburst in out on May 6th! Until then, enjoy this Chapter 2! Friend Zone and Le Tabouret were my first short stories to be published. Back in 2009, in a French magazine named Lanfeust Mag. These one will be soon available in a 2.0 version. The enhanced edition. The director’s cut. In a nutshell, I’ve re-written, corrected, changed and improved them so they can be almost new to those who already knew them. In the magazines, comic artists had the occasion to illustrate them. As I don’t have any right on these illustrations, I’ve called some friend of mine to create new visions to picture them. If everything goes according to the plan, they should be available for free in March and April, one per month. The order depending on which illustration I receive first. Stay tuned for more information! Like name dropping for instance. Friend Zone et Le Tabouret furent mes toutes premières nouvelles publiées, en 2009 dans le magazine Lanfeust Mag. Celles-ci seront bientôt disponible dans une version 2.0. En édition augmentée. La director’s cut. En gros, je les ai ré-écrites, corrigés, changés et améliorées, de façon à ce qu’elles soient mieux (déjà) et que même ceux qui les connaissent aient un vague goût de nouveauté. Dans les magazines, des dessinateurs de BD furent appelé pour les illustrer. Comme je ne possède aucun droit sur ses dessins, j’ai moi-même appelé des potes dessinateurs à la rescousse pour fournir une nouvelle vision à ces histoires courtes. Si tout se déroule selon le plan, elles devraient être disponible gratuitement en Mars et Avril prochain, à raison d’une part mois. L’ordre dépendant de quelle illustration je recevrais en premier. Restez dans le coin pour de nouvelles informations bientôt, notamment les noms des illustrateurs.